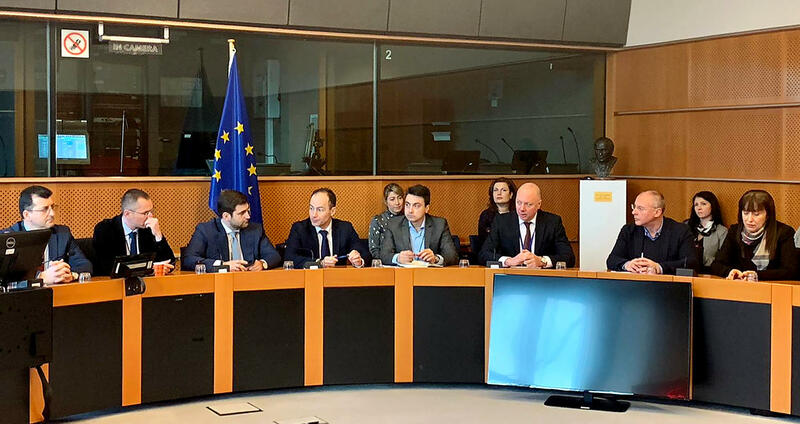 Irrespective of political differences, the institutions have to work for the common national interest, said the Minister of Transport, Information Technology and Communications Rossen Jeliazkov at a meeting with MEPs. The Bulgarian representatives from all groups in the European Parliament declared that will work together, in a coordinated way and with common massages. “The protest of the hauliers is not a form of pressure, but a demonstration of the firm and explicit message against the division of Europe into central and peripheral countries”, underlined Minister Jeliazkov. A series of meetings is planned within the framework of the day - with Commissioner Violeta Bulc and EP Transport Committee Chair Karima Delli. Minister Jeliazkov will also speak with the rapporteur Ismail Eartug, who re-submitted the proposal to return the vehicles home. The Minister commented that the deletion of this text is a must and cannot be accepted as a compromise. He added that he would put this issue to Ismail Ertug pointedly.